Create Interesting Effects Using Colour Shapers! You may be wondering just what is a colour shaper? These are incredible tools that have a handle that looks similar to a paint brush. Instead of bristles or hair you'll find a flexible silicon end. Colour shapers come in a vareity of shaped tips from wide and flat to a pointy taper. 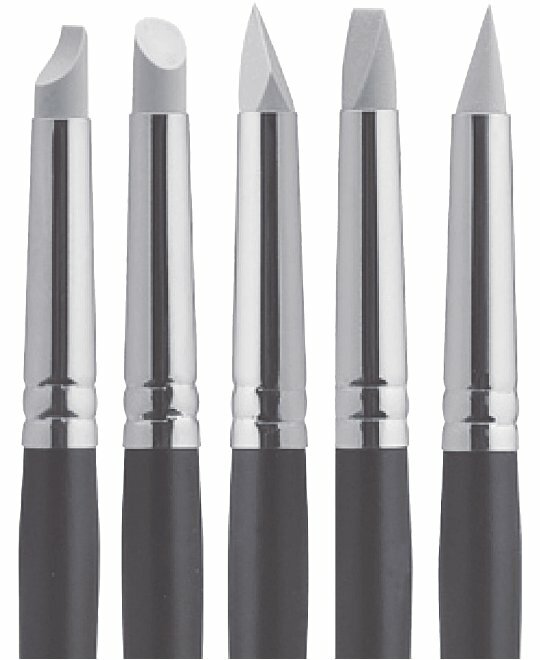 They are usually more expensive than your average brush but I have had mine since I started art school - they last a very long time! If you keep them clean you can get your money's worth out of them and they are an amazing tool to add to your box of paint brushes. Because there are no hairs/bristles your mark will be made in a smooth way that reacts to the texture of your surface and the pressure you apply. I have found best results on smooth and rigid surfaces but you can play with the effects caused by using canvas and more textured surfaces. At the bottom of this post is a photo that shows how the canvas texture shows through. The above photo shows a more rigid surface and the type of effects that can be obtained. 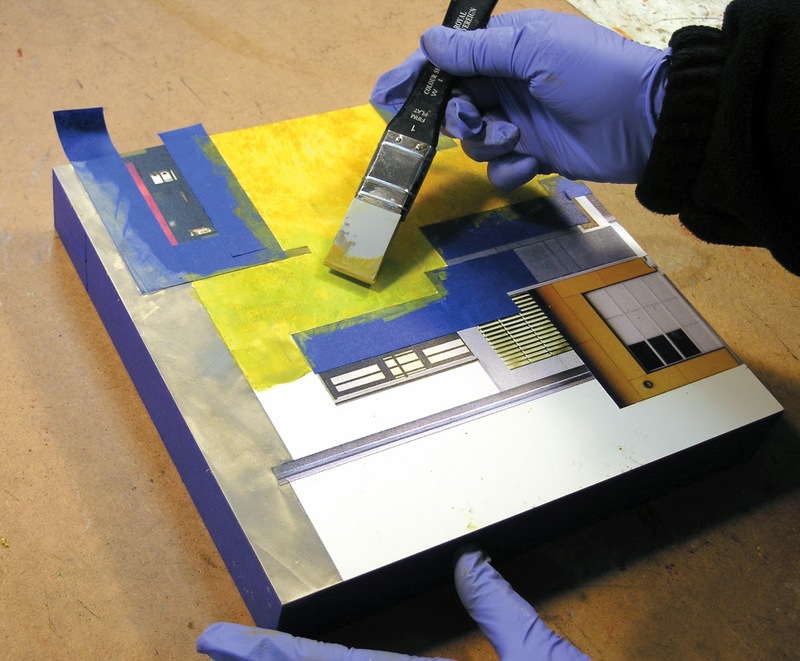 One of the coolest aspects of the colour shaper is it's ability to create thin layers of paint by removing paint. Check out the photo below to see this effect. It can make clean lines when you use it to work into wet paint. If you use a base colour you can create lovely sheer glazes of colour on top with this tool. Like any new tool it will take a little practice to understand the range of effects that you can get from these tools. I'd recomment the angle chisel to start because it has a wide flat edge as well as a fine tip making it a versatile tool.